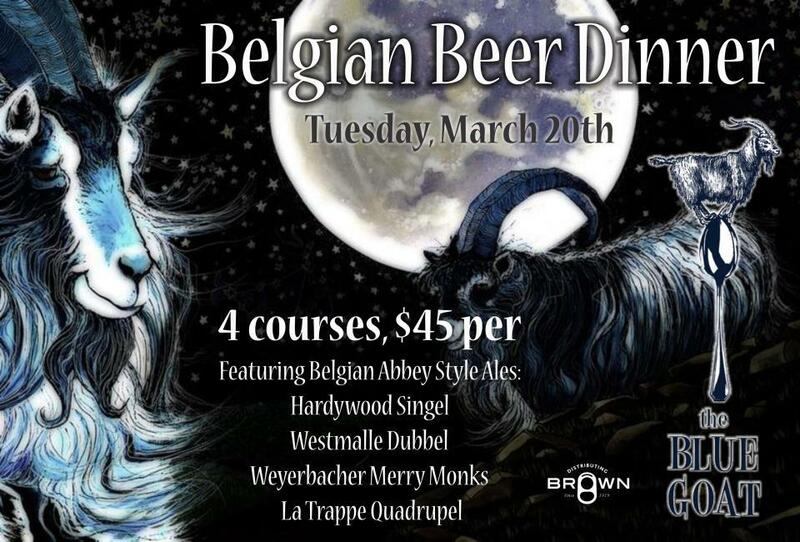 There are only a few seats left for The Blue Goat’s Belgian Beer Dinner on Tuesday March 20th. If you’re still on the fence about this dinner, take a look at the tasty course from Chef Kevin LaCivita. The dinner starts at 6:30pm and costs $45/person excluding tax and tip . To RSVP: call (804) 288-8875 or email chris@bluegoatva.com but make sure you act fast.